As a first time mom it can be especially hard to learn all the nuances of getting your baby to sleep and sleep well. There are many different reasons a baby might be having trouble sleeping. Sometimes, my daughter would just be overly tired. So tired she needed to sleep but she would fight and fight it. Luckily I had grandma there to help me through it. Grandma raised 9 babies, she was very adept at getting babies to sleep. Here are some tips from Grandma as well as one’s I’ve gathered around the web. WIth a lot of babies, the first tell-tale sign of overtiredness is going to be eye rubbing. Your baby might rub her eyes or ears or face. She may pull her hair. She is probably going to yawn and may start to turn away instead of interacting or engaging. As tiredness progresses your baby might start looking around for his blanket or his pacifier if he has one. The more tired your baby is the harder it can be to get them to settle down to sleep. Remember that overtiredness can happen at any age and frankly never really stops, we just help them with it when they are young and they learn to self manage as they grow. Our goal is to help the baby get to sleep as soon as possible. Your baby is already tired, the first thing you can do to help her sleep is to set the mood. Take her to a familiar sleeping place if you can like her crib, your bed, etc. Dim or turn off the lights. Eliminating any noises or distractions should help as well. Swaddling your baby can give him a sense of comfort and security and allow him to stop fighting sleep. I started swaddling my newborn baby from the time she came home from the hospital so she got used to it pretty quickly. Whenever she is overtired, swaddling is my go-to. If your baby isn’t used to swaddling he may resist it or cry the first few times. I recommend giving it a few good tries before you decide your baby just doesn’t like being swaddled. It may take a few times but you may find swaddling to be your favorite way to help him sleep. The American Academy of Pediatrics has a great informative article you should check out if you want more info on this topic: Swaddling: Is it safe? Hint: They say yes!! White noise can be a big help when your baby is overtired. There are companies that sell specific white noise machines but my favorite way to play white noise is using my Echo Dot or Alexa App in my phone when on the go. Pandora has a white noise station as well so I am sure you should be able to find something in your favorite music app. Rocking can certainly help your baby fall asleep when she is overtired. Rhythmic movement is very soothing for a lot of babies and can help lull your precious one to sleep.There are several ways to rock your baby to sleep. You could use a swing, bassinet or just hold your baby and rock her until she can’t fight sleep anymore. Every parent is different and has different styles of parenting. I tried really hard not to let my baby get used to being held to fall asleep but if she was really fighting it, I would. I realized as a parent it was OK for me to make decisions on the fly to help my baby with whatever she needed. If you want to hold your baby to help her go to sleep, hold her. Have you tried the above and still your baby is fighting sleep? Try feeding him. A little snack may be the thing to help soothe him to sleep. Most everything I read discourages allowing the baby to fall asleep while eating to prevent him from becoming depending on the practice. To read more about that check out this article: Is it really so bad to nurse a baby to sleep? If you have an older baby or toddler, try singing to her or playing a lullaby. Mom or dad’s voice can be reassuring and the rhythm of a lullaby is great for inducing sleep. Once your baby falls asleep, future habits can help prevent your baby from being overtired in the future. These tips may be of help to to prevent future events of overtiredness. In order to help your baby get ready to sleep, try creating a sleeping / nap routine. 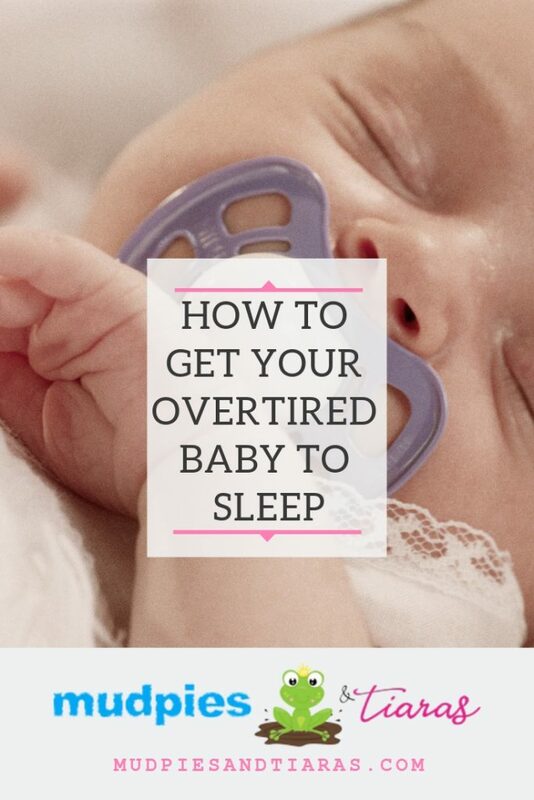 This should help your baby fall asleep faster. The routine should be comprised of 2-5 things you do consistently every time you put your baby to bed. Here is an example of a sleep training routine I used. You could add singing, rocking, feeding, white noise, etc. It takes practice but most babies should pick up on the routine and it will start helping them get to sleep. There are “minimum” amounts of times babies should sleep, like we show in the infographic below, but each baby is different. 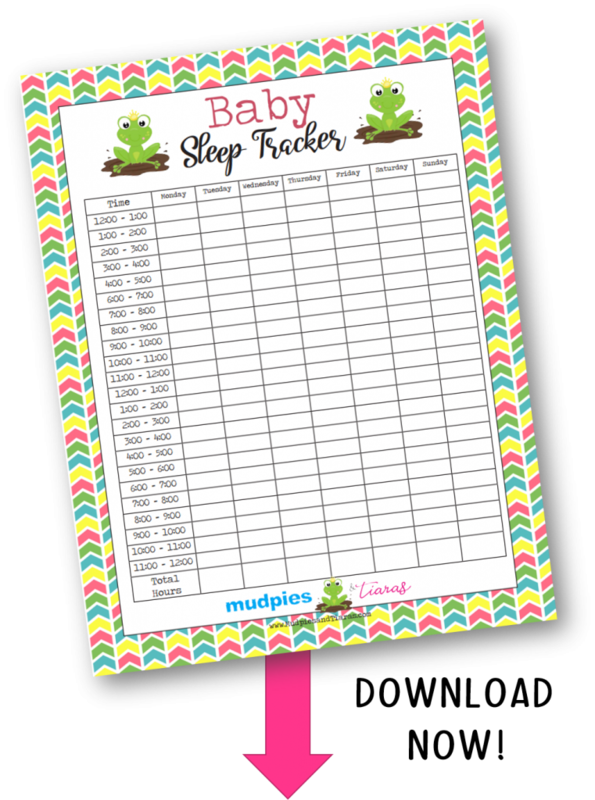 Try tracking what time and how long your baby sleeps each night. This will allow you to see pattern in sleep times and awake times. As your baby gets older, try to adhere to a nap time and bedtime schedule. 5 o’clock naps for a 2 year old probably won’t lead to an 8 o’clock bedtime. We’ve created two different trackers you can use if you like. They are free when you subscribe to our newsletter below! In step 1 above we talked about a bedtime routine but it is equally important to start winding things down before naptime / bedtime. Lots of engagement or stimuli right before bed can mean that your baby is too excited to sleep even if she’s used to a routine. 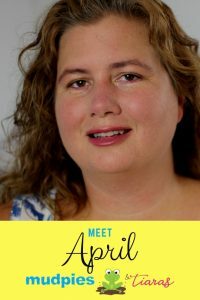 I hope some of these tips will help you get your overtired baby to sleep and also give you some ideas to help prevent him from becoming overtired in the future. Remember, sometimes, overtiredness is just going to happen. The key is just to do what you can to help your baby sleep now and then do what you can to help him get to sleep faster and sleep better in the future. Which of these tips works best for your baby? Do you have another method you use that works really well? If so, feel free to comment below today and help other mom’s who may struggle with this tomorrow! Join our mailing list to receive this and other great freebies!